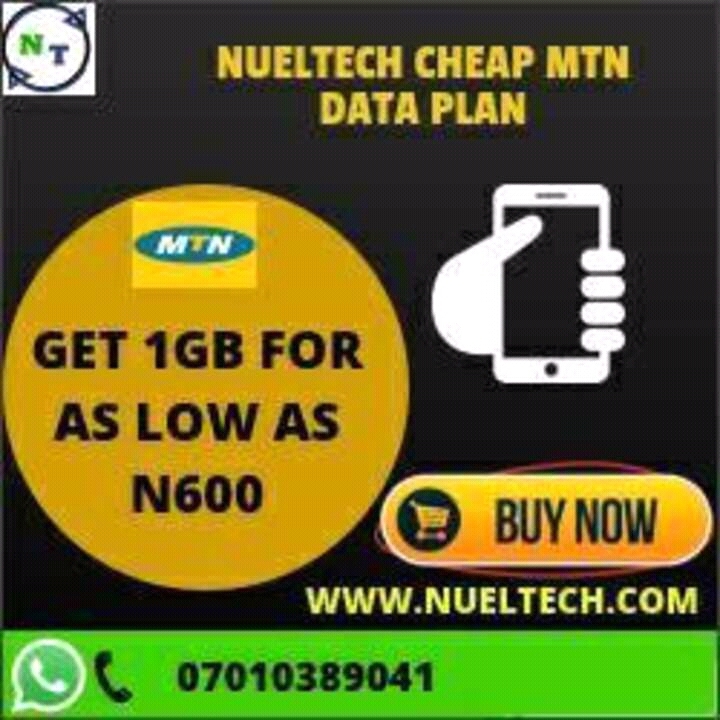 Hello Nueltechers and internet surfers, Nueltech cheap data plan is back again and we are back with our affordable MTN data plan . As of before we are known for our reliability and best servicing , and we are still keeping to that , as we are trying to make data affordable for everyone even as of now that Telecom companies are increasing their data price . We are currently working on venturing into other networks like Airtel , Glo And 9Mobile , we will pass across info as soon as we start selling those network data . 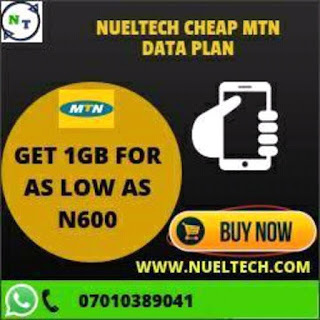 Nueltech cheap data works on all devices rangoing from Android , iOS , Windows , Java , Blackberry , Moems/PC and so on . Our data doesn't drain fast , it lasts long . And more , validity period 60-90 days , Also Dial *461*2# to check balance. 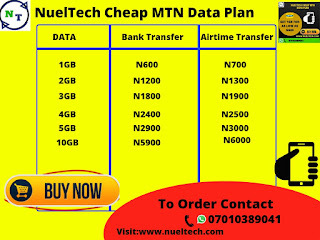 We accept bank transfer and Airtime payment , however Airtime payments attracts additional N100 fee . We can contact us on whatsapp on our official number: 07010389041.